TE Lawrence got it perfectly when he described the desert as “vast, echoing and God-like…”. Almost intimidating in its unending rock and sand terrain, there’s a certain thrill in kicking up sand as you drive in the desert. Watching the sunset from sandstone mountains or atop a dune is compulsory. It’s also paradise for climbers with canyon and rock faces like no other. 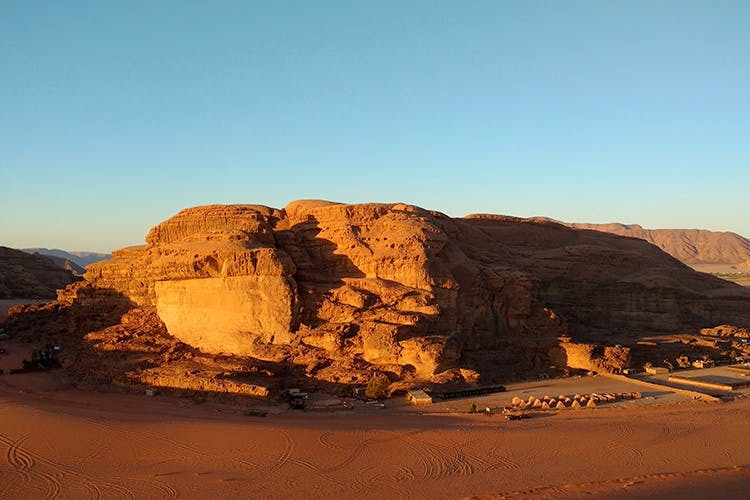 Since most of the people living in Wadi Rum are Bedouins, you’ll want to be more mindful of what you say and do, as their semi-nomadic lifestyle still keeps them from modern life. But they’re also wonderful people, who’ll happily welcome you to their tents for divine Jordanian tea and music and dance after. I luckily had a photographer in my group, and thanks to him, we watched the Milky Way shift, through the night, just outside our super cool camp called Al Captain’s Camp.